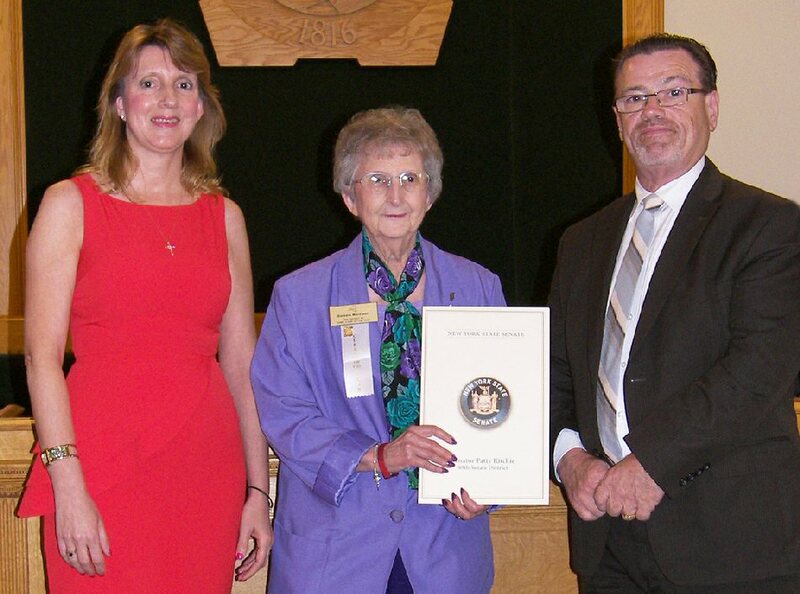 OSWEGO, NY – The Oswego County Legislature recognized Barbara MacEwen with a certificate at its June meeting. The New York State Town Clerks’ Association recently named MacEwen the District 5 New York State Town Clerk of the Year. 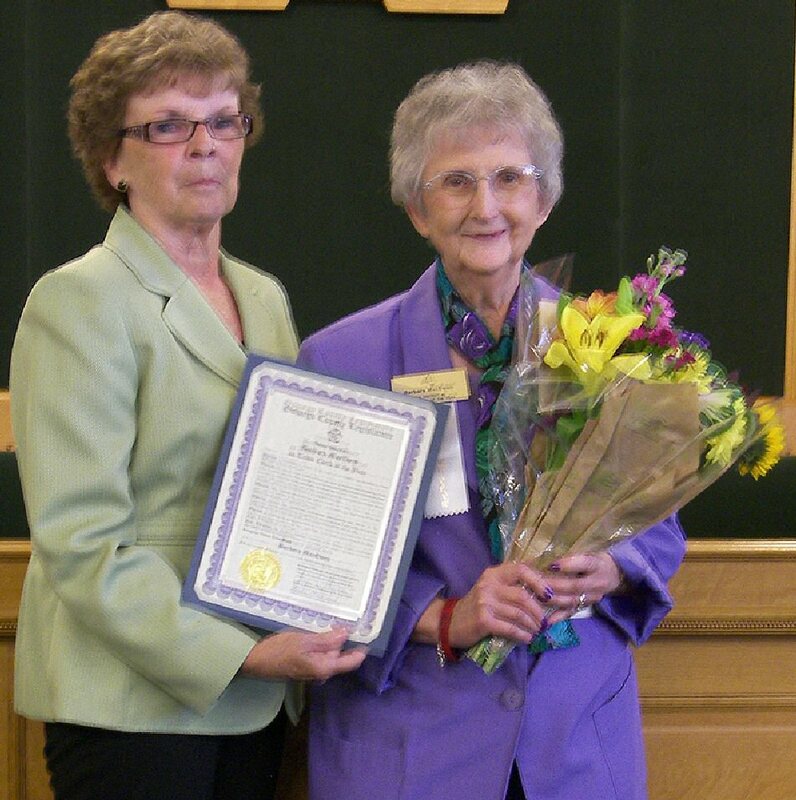 She has served as the Volney Town Clerk for 20 years and is a member of the New York State Town Clerks’ Association. She is also a registered municipal officer and a registered municipal clerk. 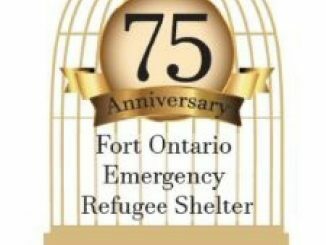 MacEwen was recognized for her outstanding professional contributions, service to her community and dedication to the ideals of honorable public service. From left are Oswego County Legislator Linda Lockwood, District 11 and Barbara MacEwen, Volney Town Clerk. 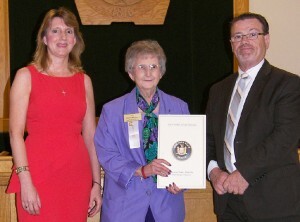 MacEwen also received a certificate of recognition from James Hayes, on behalf of New York State Senator Patty Ritchie. 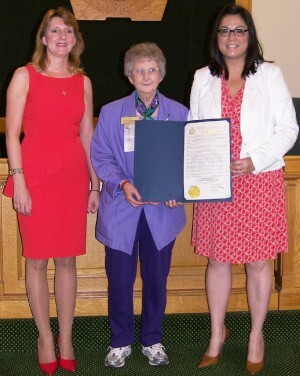 From left are Marie Peebles, MacEwen’s daughter; MacEwen; and James Hayes, a representative for Senator Ritchie. Jennifer Cook, a representative from New York State Assemblyman William A. Barclay’s Office, also presented a certificate of commendation to MacEwen. From left are Marie Peebles, MacEwen’s daughter; MacEwen; and Cook.